Every driver using the roads of a given country is obliged to incur road charges. The charges may be covered in the form of a vignette, purchased and affixed to a vehicle’s windscreen or paid for at a motorway gate. Individual countries may apply different road charges, depending on the adopted legislation. What charges do we face in 2017? At the end of 2016 German authorities made a unanimous decision on the introduction of motorway tolls in Germany not earlier than in autumn, which is directly associated with Bundestag elections. Additionally, the country will implement other legislative changes details of which were not revealed by a person publishing the information. The anticipated cost of a ten-day vignette ranges from 5 to 15 EUR and a two-month one from 16 to 22 EUR. On 1 April 2016 Belgium introduced the system of electronic toll collection “Viapass”. Nevertheless, the use of country motorways is entirely free of charge with the exception of a tunnel between Liefkenshoek and Antwerp. The charges for using the tunnel by drivers of vehicles weighing more than 3.5 tons are collected with the use of Viapass. The things are a little more complicated in Austria where all vehicles weighing more than 3.5 tons are subject to road charges. The tolls are charged using a „Go-Box” device, which must be affixed on a vehicle’s windscreen. The amount of the charge depends on the number of axles and the number of kilometers covered. For a vehicle with EURO VI emission class and 3 axles we will pay a daytime fee amounting to 0.24 EUR for each kilometer. In the case of 4 and more axles the charge will amount 0.37 EUR for each kilometer. The prices grow as the number of axles rises and the emission class declines. In the Netherlands, the use of public roads is free of charge except for two tunnels: Kil and Westerschelde. The tolls for these sections are charged in the form of the Eurovignette. In the first tunnel, the charges depend on the height of a vehicle with charges being 1.45 EUR for vehicles up to 2.3 m and 3.8 EUR for higher vehicles. In the second tunnel, for a vehicle longer than 12 m and higher than 3 m the basic rate totals 25 EUR. France introduced some significant changes this year. On 16 January 2017 the law enters into force according to which each driver entering Paris must hold a vignette. The charge will depend on a vehicle’s class as well as the EURO emission class. Additionally, in the case the level of pollutant emission exceeds the alert value, owners of vehicles may expect some preferential treatment, depending on a vehicle’s class. Starting 1 July 2017, vehicles with the EURO III emission class will be banned from entering Paris. From now on, entering and driving around the capital of France will be subject to a fee of 4.18 EUR. 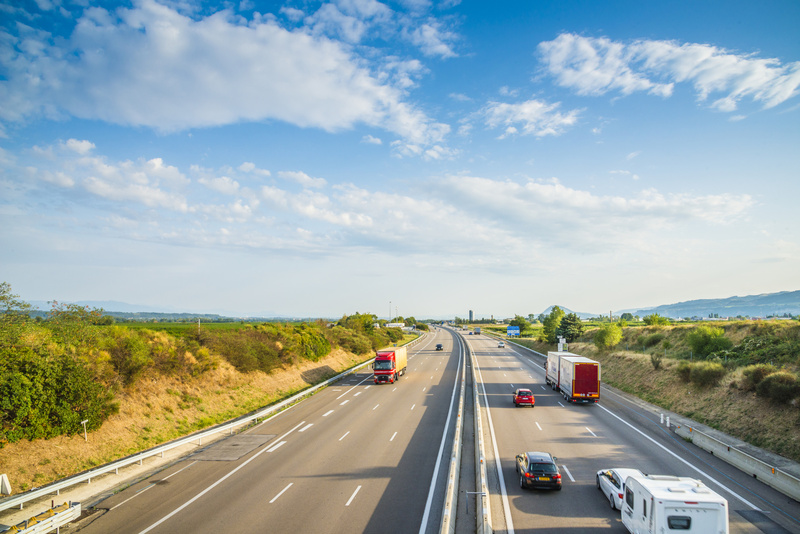 Currently, the cheapest motorway section in France is the one between Montauban and Toulouse, which is subject to a charge of 10.4 EUR. The most expensive motorway connects Nice and Paris and costs 239.4 EUR. The difference in prices amounts to 229 EUR. Poland applies the viaToll system. The most expensive motorway in our country is still A2, the use of which is now subject to a fee of 218 PLN for the entire route length. The toll applicable on the A4 motorway amounts to 53 PLN for the entire motorway section, whereas on the A1 motorway, drivers of the 4th category have to pay 0.38 PLN per one kilometer. The whole section of the motorway is thus subject to a fee of ca. 125 PLN. The motorway tolls may be paid by cash in all toll collection areas and by card in selected points. In 2017 the road charges applicable in Poland and other European countries increased. It may be directly associated with the focus on environmental protection. Vehicles with older emission systems are not only subject to higher charges but may be also banned from entering individual cities or motorway sections in Europe.